Amy Huntington is an Vermont Illustrator and Author. She has illustrated numerous books including "Fresh-Picked Poetry: A day at the Farmers’ Market" and "Grandma Drove the Garbage Truck". 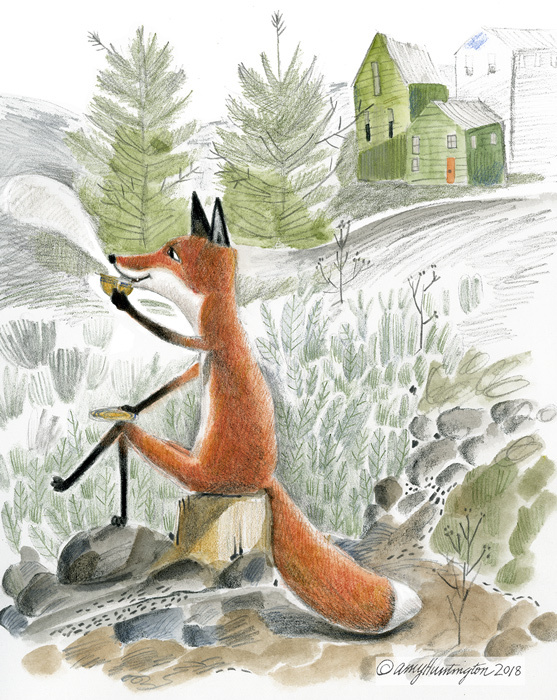 Amy Huntington is a Vermont illustrator and author. She has illustrated numerous picture books including Fresh-Picked Poetry: A day at the Farmers’ Market by Michelle Schaub, Charlesbridge, and Grandma Drove the Garbage Truck by Katie Clark, Down East Books. Nine: A Book of Nonets with poetry by Irene Latham will be published in June of 2020, Charlesbridge.